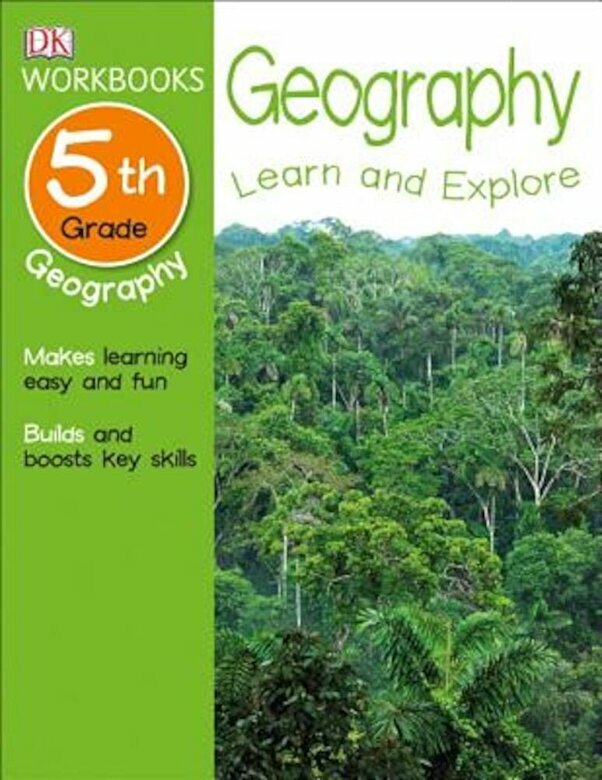 "DK Workbooks: Geography, Fifth Grade" is a great tool to supplement school curriculum help your fifth-grade student learn geography concepts. Created to help support kids ages 10 and 11, this workbook will features exercise on state capitals, time zones around the world, and the geography and climate of each continent that are taught in fifth grade classrooms. Level by level, these write-in "DK Workbooks: Geography" offer at-home practice that kids actually enjoy making them ideal supplements to schoolwork. Designed to support the Common Core State Standards, this series is developed with leading educational experts to build confidence and understanding. Each leveled workbook, for children ages 3 11, is packed with activities and challenges, offering the beneficial repetition and cumulative learning that lead to mastery. Fact boxes on each page give a simple overview of the topics being covered, helping children get their bearings, review the basics, and often see an example of the task at hand. The exercises themselves reinforce key geography topics, including map reading, compass directions, continents, countries and states, borders, bodies of water, and more."